Is Blogging Right for Your Organization? There’s an incredible wealth of information online for member-driven associations and donor-dependent non-profits, but sorting through it all can be quite daunting. That’s where AssociationJam.org comes in — a new way for managers and staff, consultants, volunteers and board members to share their best information and learn from one another. Here are the slides from my Mesh workshop - Social Media for Non-profits. Great opportunity? Colossal waste of time? The answer is YES. Social Media for Non-Profits Workshop View more presentations from Wild Apricot . Technology already plays a significant role in many North American churches, and to expand a church's ministry to the Internet is not a great leap. "The internet is a mission field," says John Saddington of ChurchCrunch, "and sometimes it's easier to be effective if you see it as one." If you’ve ever received an email with a long link that breaks across several lines, so you’ve had to copy-and-paste the URL into your web browser, the benefits of a URL-shortening service will be immediately clear. Short URLs are a better fit wherever your messages are restricted in length, and they’re simply easier to remember. There are many free URL-shortening services to choose from, with a variety of useful features — such as previews, bookmarklets, and, in some cases, the ability to track the clicks on your shortened links. Facebook Profiles and Pages and Groups, oh my! There are any number of ways a nonprofit can make a document available to readers online. Put the text on your website, email it, offer a PDF for download, even embed a Powerpoint presentation in a web page. Combine the convenience of online document sharing with the power of social networking, however, and "social publishing" could ramp up your outreach. Who should speak for your organization in social media? How can you control what’s being said about your group and your cause? 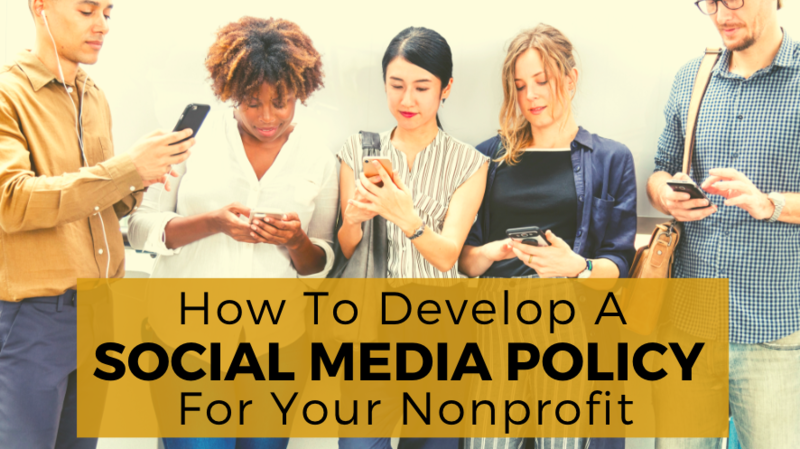 If you're not sure, it may be time to work out a social media policy for your staff and volunteers who blog and chat and comment online, where the personal and professional lines often blur. Getting your message out is only one-half of the Internet communications strategy for a savvy nonprofit organization. You also need to be tuned in to the "buzz" -- to know who's talking about your organization and your cause online, and what they're saying.